My name is Miranda and I have the amazing honor of sharing with you today’s post. Some of you may have seen me on the #SaveHaven twitter tag the last week or so with the @HelpSaveHaven account. 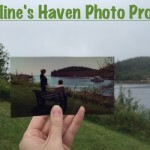 As you have all probably heard, SyFy Network announced the cancellation of our beloved Haven. While this was not a complete surprise to some of us, it was a shock they announced cancellation so early. We thought they would wait till 5b aired before making any final decisions. So that is the bad news I have to share with you if you missed it. There is some good news however. The Haven account (@HavenHerald) and Shawn Piller (@ShawnPiller) have both tweeted saying that we can change their fate. You might have seen a link floating around for a Change.org petition. We know petitions are not normally what saves a show but it was a good starting point to see if there might be some interest. After talk on twitter we have decided to launch a fan campaign to try and save Haven. We know many were interested in starting a mail-in/e-mail campaign to SyFy Network but it has been pointed out to us just how many offices SyFy has and how little impact these generally have (like with a petition). It would be much more useful for everyone to spend their time using social media to promote the show. If you would like to send a letter to the network we recommend sending an email to the SyFy feedback contact. They have reassured us that they forward all content to the appropriate departments. DO mention your age, gender and general geographic location. We want to show what a broad fanbase this show has. DO tell them whether you’re a Nielsen viewer. If you’re not a Nielsen viewer, remind them that your viewership still deserves to be counted. DO be respectful and positive. DO tell them why you want Haven to stay on the air. DON’T send in a template/form letter. Be original! Instead of a Mail-in Campaign we are recommending you take to social media (Twitter, Instagram, Facebook, Tumblr etc.) and post using the #SaveHaven hashtag. Spread the word about Season 5B. We have organized a series of pre-Season 5b #SaveHaven live-tweeting events leading up to the premiere. They are scheduled to begin on 9/03. You may have seen a tentative schedule floating around on Twitter. Originally, we were going to watch the last five episodes of Season 5a but it has been suggested to us by HavenHerald that instead of watching Season 5a episodes on the SyFy app/site that we watch fan favorite episodes from Seasons 1-4 on Netflix. We are working on a modified schedule of what episodes we will be viewing but the dates and times still stand: 10pm EST on Thursdays. We are also adding a 10pm PST time for the West Coast viewers. Make sure you watch with us every Thursday (starting on 9/03) at 10/9c and 10pm PST for #SaveHaven live-tweeting. This should gear us up for the new season. Hopefully, this will help get everyone in the habit of live-tweeting during the actual air-dates (which starts on 10/8). Below is a link for the voting process. Please vote for your top five episodes. Voting will close at midnight (EST) on Saturday night. We are also encouraging you to tweet using the #SaveHaven tag outside of these events. Someone mentioned doing a photo hashtag campaign. We love this idea! Please tweet or post to Instagram (or both!) pictures of yourself holding the #SaveHaven hashtag and, if you can, include a handprint. It can be on the paper, your person, your friends etc. Be as creative as you want to be! The hashtag and “Mara’s Handprint” are going to be our images for the campaign. I will be at Atlanta’s DragonCon this year (September 4th-7th). 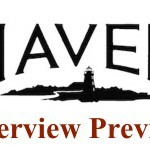 I’ve printed a number of #SaveHaven stickers to hand out at the con. If you are attending and would like to help me pass them out please E-mail me. Steve Lund (James Cogan/The Colorado Kid) and Laura Vandevoort (Arla Cogan/ The Bolt-gun Killer) will be in attendance to promote their current show (Bitten) so if you see them tell them hello! Finally, we would like to say thank you to all who have been actively tweeting, sharing, and sending in suggestions. Seeing all your posts motivates us to keep this effort going. Keep up the good work! 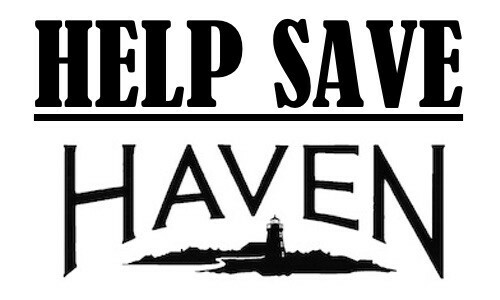 Together we can #SaveHaven!